ESSEX — The Essex Garden Club and the Essex Land Trust are sponsoring an Open Program titled “Save the Monarch!” on Monday, March 6, at 2 p.m. at Our Lady of Sorrows Church, 14 Prospect Street, Essex. Come and learn about their fascinating life cycle and what you can do to encourage their continued survival by planting butterfly habitat gardens. The presentation will be by Nancy DuBrule-Clemente of Natureworks Horticultural Services, an organic garden center and landscape service. Nancy and her crew have become Monarch experts. DuBrule-Clemente is the owner of Natureworks Horticultural Services, an organic garden center, landscape design, consultation, installation and maintenance service in Northford, CT. Started in 1983, the Natureworks crews and retail store have sold and used only organic fertilizers and pest control products since the business began. Education is the primary focus of Natureworks. Emails, handouts, website, social media posts and web videos, articles for local newspapers and magazines, talks to groups and radio interviews all combine to spread the word about organic and sustainable practices. DuBrule-Clemente graduated from the Ratcliffe Hicks School of the University of Connecticut with a degree in Floriculture. She is the coauthor (with Marny Smith) of A Country Garden for your Backyard, published by Rodale Press in 1995. 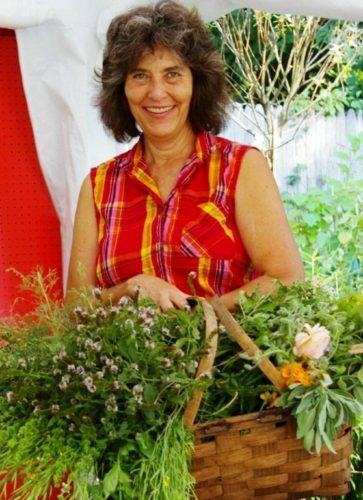 She is the author of Succession of Bloom in the Perennial Garden, self-published in 2004, is a former board member and past president of NOFA/CT and is currently on the board of the CT Nurserymen’s Foundation.